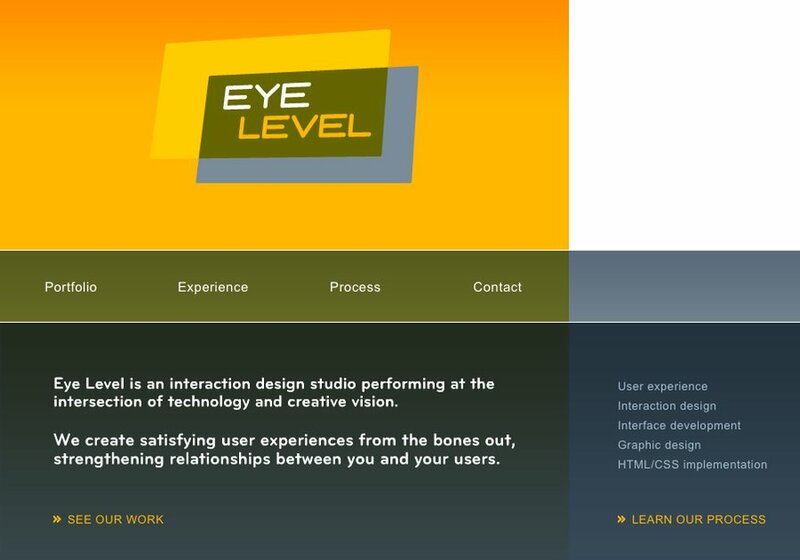 Eye Level creates satisfying user experiences for web browsers and mobile handsets. We help our clients extend their brand, engage their users, and meet their desired business outcomes. We are experts at designing complex websites and interactive media from early concepts, through user testing, to graphic design, to launch. Screenshot of the youreyelevel.com home page.